A perfect Mother's Day gift! Dainty. Elegantly simple. 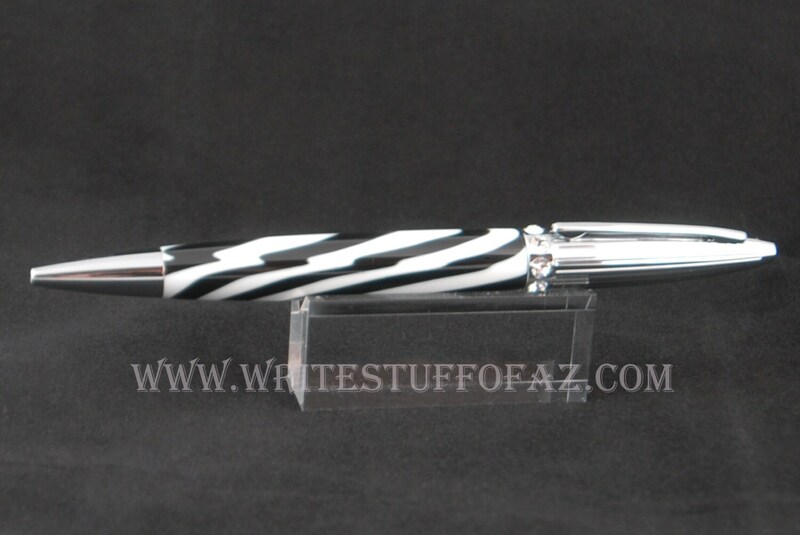 Perfectly proportioned to fit a woman’s hand, the Duchess pen is done in zebra stripes. 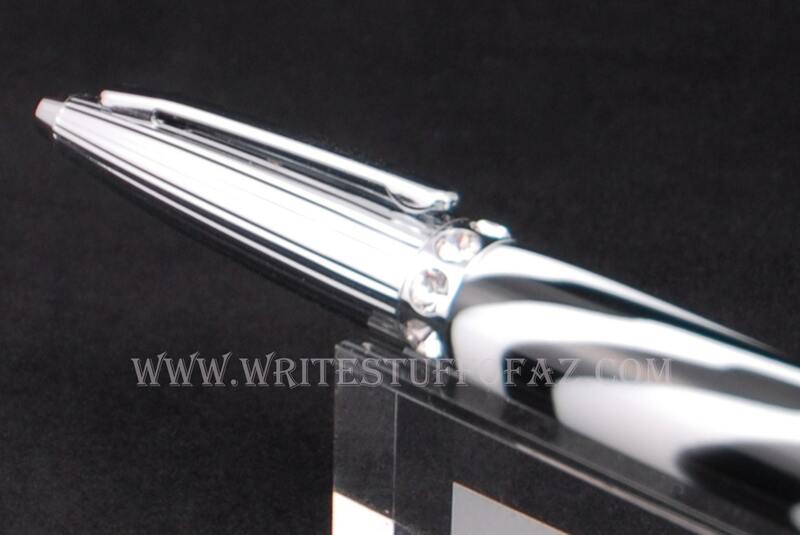 It features eight clear Swarovski crystals and a solid flute-etched metal cap. 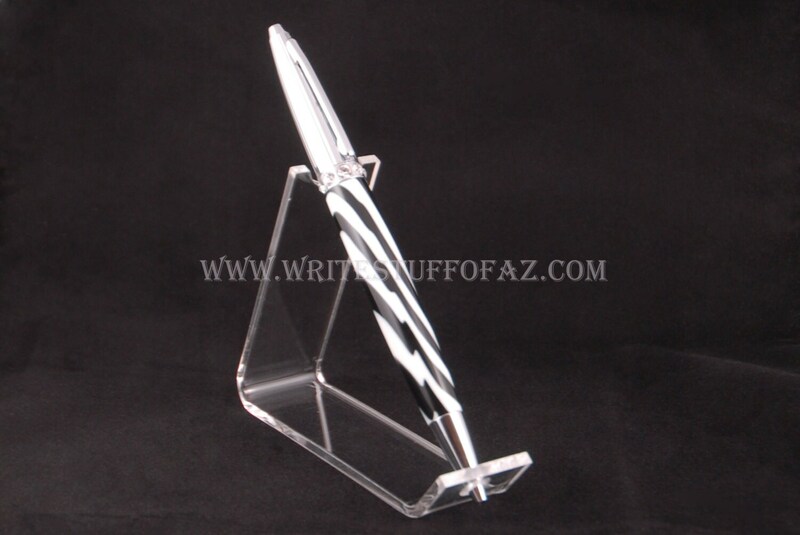 The pen accepts standard Cross style refills, readily available on this site or at your local office supply store.